Being Christmas and all, we thought we’d do a few giveaways but with a twist. 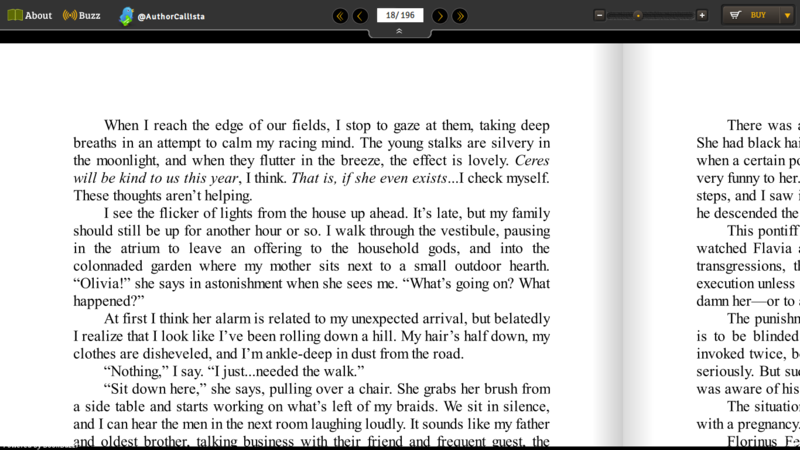 We’d like to help book-lovers win more books and an iPad this season. So whats the giveaway? We will be announcing limited coupons everyday until Christmas on Twitter and our Facebook Page. All you have to do is follow @fReado on Twitter and ‘Like’ our Facebook Page to get the latest coupon as it comes out. Remember the coupons are limited in number and you’re going to have to be quick to grab the points. Now for the twist… We won’t be giving the coupon code itself but rather a clue to it. The clues will be from the book world and Christmas. You guessed right… This is a quiz too! : ) You’ve got to solve the clues, get the code and grab the points. Example – Sherlock Holmes resided on this street in London (5 CAPS). Solve the clue, get the code & grab the points. To solve the code, read the clue which will include info on the number of letters and whether the code is in CAPITALS(CAPS), smallcase(small) or numbers(NUM). 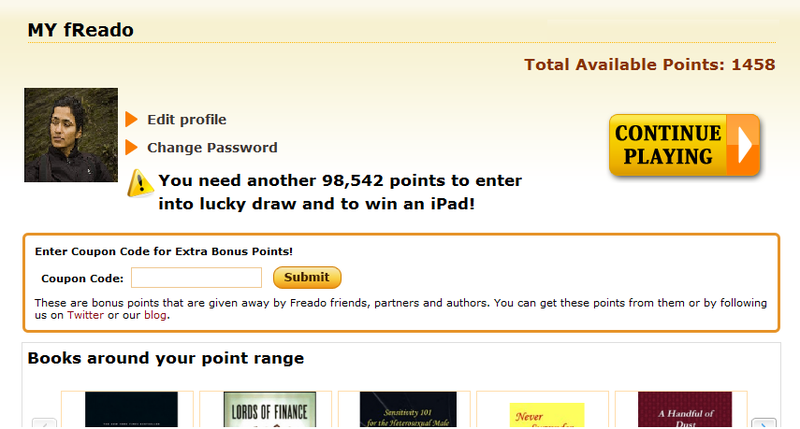 To grab the points, login or register on fReado and enter the code on your My Freado page. The points would reflect in your total points. Simple right? So follow us for some great clues and increase your chances of winning books and an iPad this Christmas! Next Article TGIF Book Marketing Tips: Your Media Release: What to do? What to do?